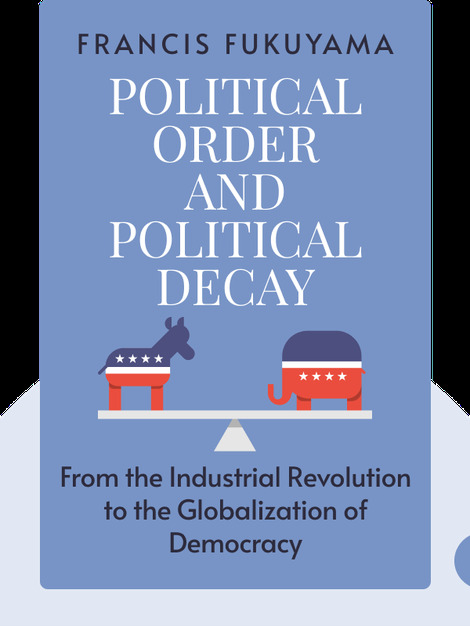 Political Order and Political Decay (2014) contrasts the history of democracy in America with its current condition to reveal the fundamental flaws of our modern democracy. From a declining middle class to selfish lobbyists and unadaptable institutions, these blinks explain just a few sources of political decay in the United States. 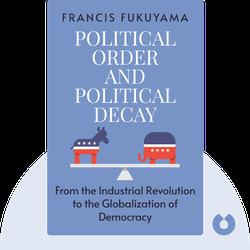 Francis Fukuyama is an American political scientist, best known for his seminal text The End of History and the Last Man, as well as several other books including The Origins of Political Order and America at the Crossroads. He has taught at both Johns Hopkins University and George Mason University, and is currently the Olivier Nomellini Senior Fellow at Stanford University’s Institute for International Studies.